In 2013, as compared to 2012, Lithuania was the leading country in the wind energy production among the Baltic States. Estonia was the second and Latvia – the third, reports LETA/ELTA. Wind power plants operating in Lithuania produced a total of 599,99 MWh of electricity energy and this was 11.6% more as compared to 2012 (537,67 MWh).Wind power plants operating in Estonia produced 528 MWh of the electricity energy. 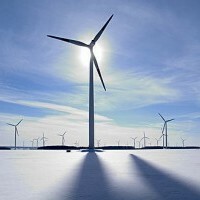 In 2013, as compared to 2012, Estonia's wind energy production increased by 17.9%.Wind power plants operating in Latvia produced 109,57 MWh of the electricity energy. 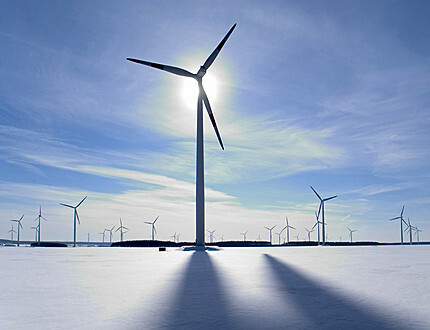 In 2013, as compared to 2012, Latvia's wind energy production increased by 8.1%.